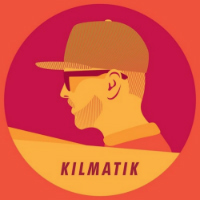 Austin emcee Kilmatik celebrates the release of his debut LP Ruler (which contains the Kool Keith-featuring track Zero Weirdos) by sneaking out a free download this close to Christmas entitled, appropriately enough, Sneaky with minimal promotion. Man, that is sneaky. But why so sly? Minimal classical piano over a dusty break topped with furtive verse sounds all good to me. 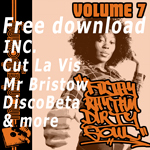 Cop it below – and remember to keep it on the downlow before anyone blogs it. Oh…wait…too late. Renegades Of Jazz Mr Bristow hip-hop vinyl BBP Basement Freaks 7" Dirty Dubsters Breakbeat Paradise latin Record Kicks Bulabeats Fort Knox Recordings Free download Funk review breaks Smoove ghetto funk disco Remix trip hop Badboe Chart glitch-hop psych reggae The Allergies nufunk Soul video Ewan Hoozami Fort Knox Five Electro swing Jalapeno Records Tramp Records Rory Hoy Jazz Morlack vinyl 7"